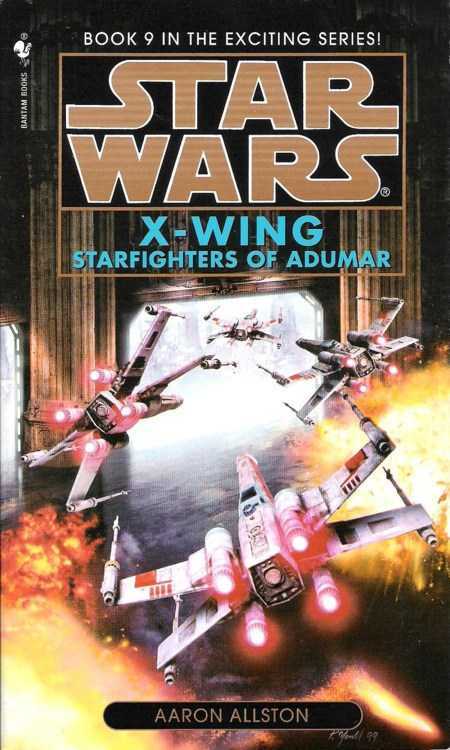 For me, a young and impressionable 14 year-old kid, Aaron Allston was the gateway to the wonderful world of Star Wars with his novel X-wing: Starfighters of Adumar. I’d been fascinated with the Star Wars setting for several years, ever since the original movies got re-released in the 90s, but I’d never read a single piece of Star Wars fiction, or seen the movies for that matter. I just wasn’t into that kind of stuff at that point in time. My interests ran more towards Hardy Boys, Nancy Drew, Famous Five, Animorphs, and the like. That was the be all and end all for me. But then, in the summer of 2001, I picked up a copy of the above novel during a bookstore sale in Dubai, along with a Star Trek novelisation of an episode of The Next Generation. And suddenly, I was right there in a world full of hotshot starfighter pilots, galactic politics, revolutions, heroism, espionage, and epic dogfights. I was hooked. It wasn’t until much later, in college in fact, that my love for Star Wars exploded. But, Starfighters of Adumar still remains an important novel for me. I feel quite ashamed with myself that when talking about my first forays into the wider world of science fiction and fantasy I talk so damn much about Tolkien and Dragonlance and Arthur C. Clarke, and none at all about this novel. It took the death of the writer himself to drive home this fact. In doing such, I realise how much a disservice I’ve done to him. I remember that last year I tried to get in touch with him about doing a guestpost for my Names: A New Perspective series. He had been one of the top writers on the list when I did the second version of the series, but things never worked out. And I’m saddened that I never really got a chance to interact with him in a meaningful way, or to even explore his writing in that manner. 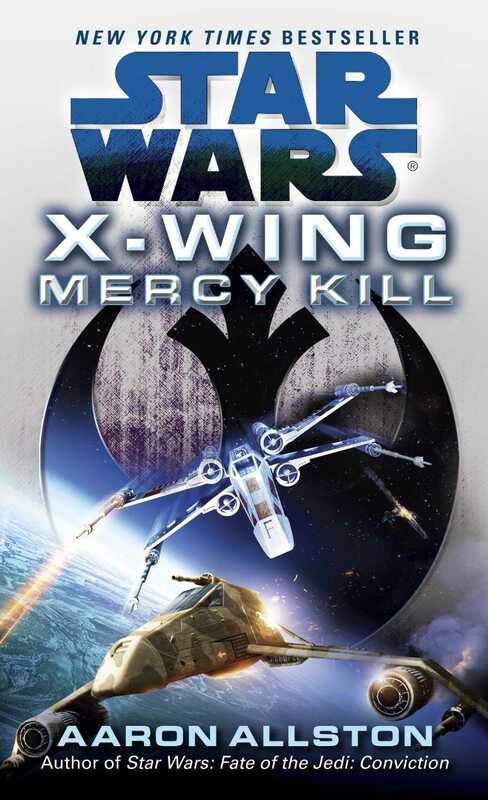 When the latest X-wing novel came out recently, Mercy Kill, I’d intended to pick it up on release and read it as soon as I could. But that never worked out either. For some reason, I just kept procrastinating. I guess now I have a reason to do that. Its weird how things work out. Last year, when Iain M. Banks died, I felt a motivation to read his Culture novels. The first three books were already on my list of books to read in the year, but his death accelerated those plans. And now, with Aaron’s passing, I feel an even stronger desire to read his work. His X-wing novels I remember very fondly, going on almost ten years now. His New Jedi Order novels, similarly. He may not have been the most important writer I’ve read in all my years, but he was a cornerstone. And I have this urge to do something that honours his memory. For a writer, what could be greater eulogy than reading his/her work, remembering him/her by that work, and sharing those memories? As a writer myself, albeit not a very successful or consistent one, I’ve often wondered what kind of a legacy I can leave for any readers once I am gone. Because that’s the thing isn’t it? We write not just to write, but to share these wonderful worlds with others. Writing in and of itself is not a goal, its just a medium to do something much grander, much more relevant. We share our thoughts, our aspirations with people far removed from us. Aaron was an American writer, living and writing in America. And yet, he had an impact on a young Indian kid halfway across the world, introducing him to a world he had never really realised existed out there. For other people, their gateway writer was Timothy Zahn or Troy Denning or Kevin J. Anderson or Karen Traviss or Kathy Tyers or Elaine Cunningham or any of the other writers who have contributed immeasurably over the years to the Star Wars Expanded Universe. For this blogger, it was Aaron Allston. A writer who will be remembered fondly and given his due credit for all that he did for me. I can do no less for someone who brought me into the science fiction and fantasy fold, and with a novel as fun and exciting as Starfighters of Adumar. Posted on March 1, 2014, in Editorial, General and tagged Aaron Allston, Game Designer, Mercy Kill, RIP Aaron Allston, Rogue Squadron, Science Fiction, Space Opera, Star Wars, Star Wars Expanded Universe, Starfighters of Adumar, Tabletop Games, Wraith Squadron, X-wing. Bookmark the permalink. 1 Comment.